Fazilka, September 5, 2018: In a ghastly act, three persons allegedly killed their mother over a land dispute at Gulaba Bhaini village in the district. They also tried to dispose of the body by setting it on fire, but the police reached the spot and took the body in their possession. Sources said the victim, Malo Bai (60), had divided her 17 acres of land equally among her four sons and retained one-fifth share to her. Earlier, she was staying with her three sons — Pritam Singh, Balwinder Singh and Chhinder Singh. But after the distribution of land, she started living with her fourth son, Ramesh Singh. The sources said Malo Bai then transferred her share of land in favour of Ramesh Singh. The latter told the police that the development enraged his brothers. On Tuesday evening when he and his mother went to the residence of his three brothers to get her belongings, they allegedly attacked them. They reportedly locked Ramesh Singh in a room and brutally thrashed their mother, who died on the spot. The accused and their wives allegedly took the body to nearby fields and tried to set it on fire after sprinkling kerosene oil. In the meantime, Ramesh Singh informed the police. Sanjeev Setia, SHO, Sadar police station, Fazilka, said the police with the assistance of villagers doused the fire and recovered the body. Ramesh Singh was admitted to the local civil hospital. ❝Pritam Singh, his son Sandeep Singh, Balwinder Singh, his wife Raj Rani and Chhinder Singh and his wife Soma Bai have been booked under Sections 302, 201, 323, 148 and 149 IPC. The accused are yet to be arrested.❞ Sanjeev Setia, SHO, SADARPOLICESTATION, FAZILKA. 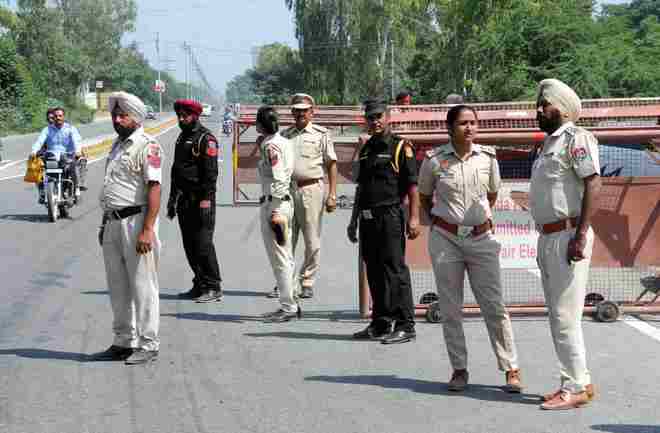 The body has been sent to Faridkot Medical College for a post-mortem examination. The SHO said Pritam Singh, his son Sandeep Singh, Balwinder Singh, his wife Raj Rani and Chhinder Singh and his wife Soma Bai had been booked under Sections 302, 201, 323, 148 and 149 IPC. The accused are yet to be arrested.